As Pratt Home Builder’s Real Estate Matchmaker, my job is to be a bridge between our digital and physical real estate. I talk and e-mail with hundreds of prospective buyers per month, all at different stages of the building or buying process. While I sometimes hear of retail buyers looking at 20 or 30 homes before making an offer sometimes, it was my goal as a retail Realtor to find something a buyer would be willing to make an offer on within three showings. The process of asking questions is something that’s just as helpful in determining whether, where and how what to buy or build. To summarize one of my favorite quotes by Rainer Maria Rilke, “Try to love the questions.” Most of us avoid asking ourselves questions, but I think of this process as motivational interviewing. Asking the right questions is one of the best ways to figure out what we do and don’t like! I love when buyers tell me what they don’t like because that narrows the options and brings us closer to discovering what would be the best fit. Below, I’ve outlined some tips both Realtors can use with their clients and Buyers can use for themselves to help understand what a person’s true home needs and wants are before you ever start your Web search or drive to a community. By asking the right questions, we can arrive at the best location, timeline, price point, and overall home plan to fit your ideal lifestyle. One of the first questions to ask seems simple but is very telling. Why are you moving? Maybe it’s a new job, family changes like a parent moving in or child moving out, or changing health requires a single level home instead of a two story. Determining your “why” and keeping it in mind can help eliminate options that really aren’t viable and bring you closer to finding “the one”. What’s your ideal home plan style? Prospective buyers come to us with all different types of home history. Some are first-time buyers, many have owned several homes, and I have even talked to a few who have owned over a dozen. One of the best ways to figure out your ideal home plan style is to share what you have both liked and disliked about any past living experiences. Maybe you’re committed to a separate dining room for a piece of furniture or family gathering you love, perhaps you love to read and another family member loves to enjoy the game or late-night Netflix a a separate living room is a non-negotiable. What school district would you like to be in? Here is a quick way to get to the real contenders for your new home. For many buyers, school zone is one of their top priorities and they may be willing to be flexible on a almost any other aspect of their search to meet this crucial piece of their criteria. Luckily, we have a wide variety of communities and home plans available in a number of great school zones. Earlier this year, we had a buyer whose daughter’s school closed so they needed to relocate to another part of town. Our team was still able to help them make their perfect plan work and now they’re building the home they love close to a school that was a great fit for their child. While we are confident you’ll want to spend a lot of time in your beautiful new construction home, It’s important to determine what types of shopping, restaurants or businesses you would like nearby. This turns out to be a very important topic to many buyers, especially those who may be moving to the area for work and aren’t necessarily familiar with what to do for fun. What are your “must have” destinations within 10, 20, 30 minutes of your home? Some buyers want to be in close proximity to a gym or golf course, others want to be within a short drive of family members, or their favorite places to eat, shop, or explore. What type of neighborhood environment appeals to you? This question is a great one to figure out the lifestyle you want to have in the future. A new home is a new chapter! We have had buyers who always had to make the drive to their grandkids who want to be the cool grandmother with the pool and fun house to visit. Other buyers have an on-the-go lifestyle so need something like yard care wrapped into the HOA services. Some want to downsize but want onsite amenities to enjoy in the time they used to spend maintaining an older home. Buying a new home is personal, but with a sale always comes a transformation. You buy a new outfit for the way it will make you feel, and the same applies with a new home. So what does your future life look like and what do you hope to get from your new home and community? We hope your new home purchase brings you closer to the lifestyle you want the future “you” to enjoy. 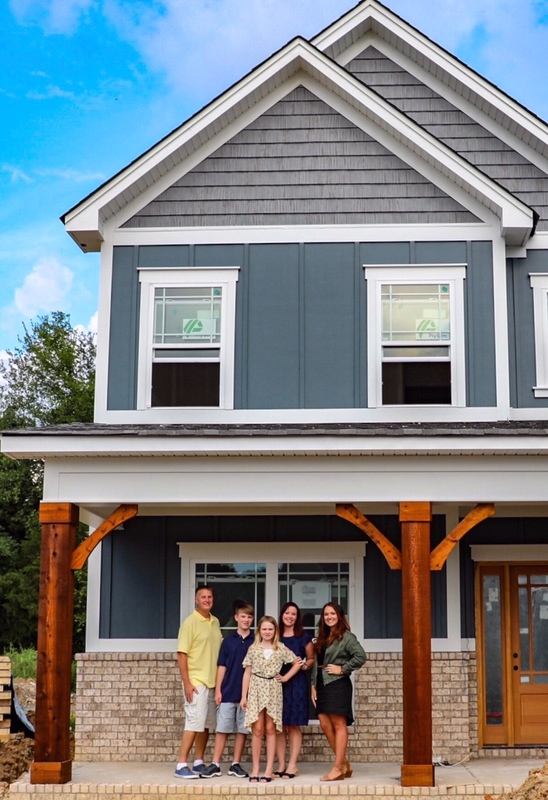 The Hawkins family, pictured above, was able to choose and build their dream home site unseen by asking the right questions and working through questions I posed to them, and then through more conversations on the phone with our Onsite New Home Consultant. If they can do it, you can too! 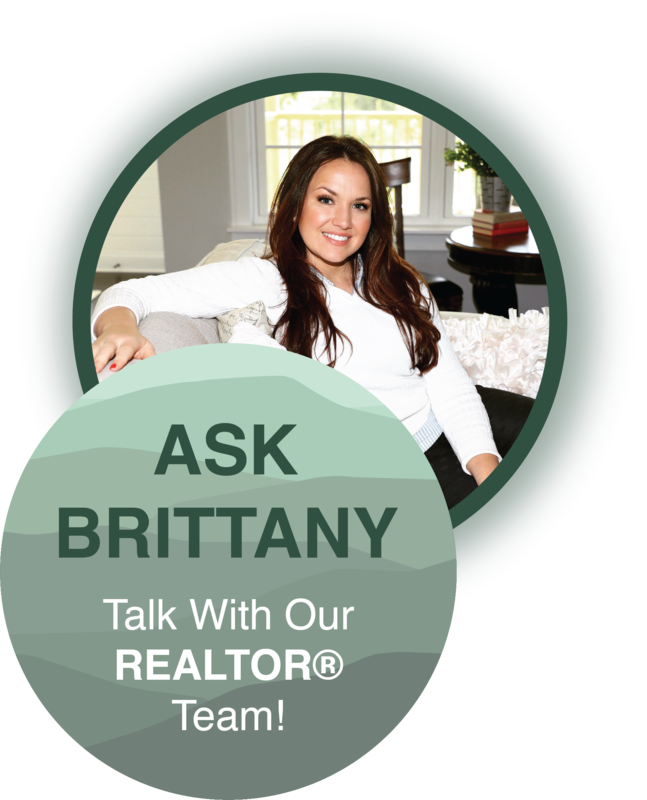 If you have any other questions for me about our process, homes, or communities, reach out anytime: BrittanyNewman@prattliving.com or call 423-757-7687. We look forward to helping you love where you live, and how you live.